Whether you’re using your Raspberry Pi as a desktop PC or you want to download some software for your next project, you’ll need web access. The most recent version of the Raspbian operating system comes with Chromium pre-installed. But does this offer the best browsing experience? Many other browsers are available for the Raspberry Pi, so it’s worth looking at the alternatives. Whether you want to access Facebook, play games, or simply check the latest news, there’s a great browser for your Raspberry Pi. Although the Chromium browser comes preinstalled with current Raspbian images, that doesn’t mean it is the best browser for your purposes. Sure, it’s the preference of the Raspberry Pi Foundation… but you might not even be using Raspbian. 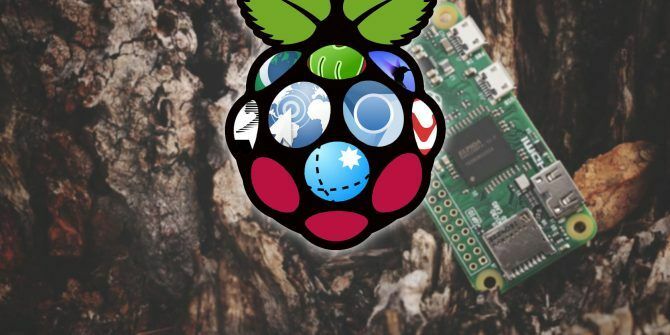 The Raspberry Pi has plenty of other operating systems 11 Operating Systems You Can Run on Raspberry Pi 11 Operating Systems You Can Run on Raspberry Pi The Raspberry Pi's hardware is only one side of the coin. Here are some different Raspberry Pi operating systems you can install. Read More ! Even if you are using Raspbian, however, there’s a good chance that Chromium is too bloated for you. If all you need a browser for is downloading DEB files, or maintaining your own website back end, Chromium might be overkill. That doesn’t stop it being a great browser for the Raspberry Pi; however, others are available. But choosing a Raspberry Pi browser How to Choose and Optimise Your Raspberry Pi Browser How to Choose and Optimise Your Raspberry Pi Browser Whatever your current Raspberry Pi project, you might need to access the web. Unfortunately, speedy browsing isn't a strength of this small computer - is there any way to speed things up? Read More is not easy. The following browsers all run on Raspbian Stretch. As the default, Raspberry Pi Foundation approved option, we’ll start with Chromium. If you’re using Raspbian, you’ll find Chromium in the Internet menu. The browser has been built in since Raspbian Jessie’s September 2016 update. Chromium is optimized for use on a Raspberry Pi, and its speed on Raspbian in particular will wow you. Most of your favorite extensions should work, although the hardware requirements of the Raspberry Pi may limit success here. 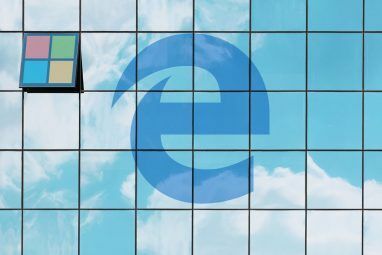 However, Chromium can handle active sites like Facebook, play video on YouTube and Vimeo… and generally do everything you want a browser to do. A good alternative to Chromium, Luakit feels like a “browser waiting to happen.” The developers have taken a unique approach to the software, revising some expectations about what a browser should be, or do. For instance, virtually every graphical web browser you’ve ever used has the address bar at the top, right? With Luakit, this has been moved to the bottom, and minimum chrome around the browser window makes for a much tidier desktop. You’ll also notice a distinct lack of buttons. This is because Luakit relies on the keyboard for commands. Various shortcuts can be employed; for instance, Shift + H and Shift + L to cycle back and forth through your recent browser history. To open a new page, tap O then enter the URL. More shortcuts can be found in the Arch Linux wiki. Although based on the webkit engine, Luakit has some shortcomings. For instance, there is no detailed history to view. Also, some websites will default to the mobile view. Agree to the installation, and a few minutes later it will be ready to use. You’ll find Luakit in the Internet menu on the Raspbian PIXEL desktop. Before Chromium came to Raspbian, Midori was the preferred browser. This should come as no surprise. Lightweight and fast, Midori is ideal for a number of browsing activities. Sadly it isn’t as versatile as Chromium, but if you don’t need full browser functionality and appreciate speed, Midori is a fine alternative. You’ll find it in the Internet menu on your Raspian desktop. Look out for the Midori Private Browsing option too, for a more private alternative. See our guide to Midori for more details Midori: One Of The Most Lightweight Browsers Around [Linux & Windows] Midori: One Of The Most Lightweight Browsers Around [Linux & Windows] We've had browser wars back when Netscape was still the king. Today, it's Internet Explorer, Firefox, Chrome, Safari, and Opera all battling it out to see who's top dog. However, sometimes we forget that there... Read More . Once running, you’ll find a browser that is intended for purely for speed. As such, it doesn’t adhere to CSS, instead displaying web pages in mostly text format. Fast and easy to use, GNOME Web offers a full set of menu options and preferences, with control over favorite bookmarks, internet history, and all of the usual browser features. A “do not track” option is included too. There is so much you can do with GNOME Web/Epiphany beyond browsing the web. For instance, it features a tool that lets you create your own web applications 5 Reasons to Start Using GNOME Epiphany Web Apps 5 Reasons to Start Using GNOME Epiphany Web Apps The GNOME Web browser ("Epiphany") can integrate web apps to your desktop. Here's how to make your own web apps in Linux. Read More from your favorite sites. An open source browser, Netsurf was initially developed for RISC OS (which also runs on the Raspberry Pi Turn Your Raspberry Pi Into a Retro PC With RISC OS Turn Your Raspberry Pi Into a Retro PC With RISC OS RISC OS is a remarkable operating system released in 1987. Today we show you how and why to get it running on a Raspberry Pi! Read More ) and is available on a whole host of older or uncommon operating systems. Perhaps due to it having a unique rendering engine, many websites don’t appear quite how you remember them on other browsers. This reduces the effectiveness of many sites, but Netsurf is fast and reliable. As such, Lynx is ideal for low spec systems like the Raspberry Pi. You’ll spot the keyboard commands across the bottom of the command prompt window. Note that due to accessibility requirements, header text will be repeated as you scroll through websites. Use your keyboard arrow keys to select links, or enter a URL by tapping G. Custom configurations can be set in Lynx via a config file. First released in 2016, the Vivaldi browser (named after the composer and launched by a former member of the Opera browser team) first became available on the Raspberry Pi in late 2017 Is Vivaldi the Best Browser for Your Raspberry Pi? Is Vivaldi the Best Browser for Your Raspberry Pi? The Vivaldi browser is great on any platform, but it really stands out at a Raspberry Pi browser. Read on to find out why you should use Vivaldi on your Pi. Read More . You’ll find the installed Vivaldi browser in the Internet menu on your Raspbian desktop. 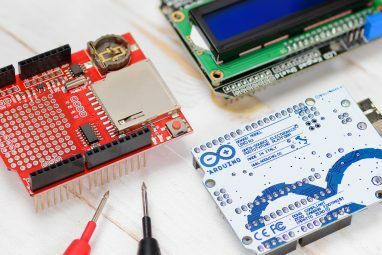 Most of the features of the full Vivaldi browser (available for Windows, macOS, and Linux) can be found on the ARM version, of which the Raspberry Pi is the first device. A side panel on the left gives you easy access to usual things like your bookmarks and downloaded files. However, there is also a very detailed browsing history, and tree-style tab management, and even a Keep-style note-taking tool. Website tracking, meanwhile, is disabled by default. Browser shortcuts and mouse gestures can be configured, but perhaps most important to Raspberry Pi users is the performance. It’s good, and while you won’t want to overload your browser with tabs, things move along well with four or five tabs on a Raspberry Pi 3. Which Raspberry Pi Browser Do You Use? With at least eight Raspberry Pi browsers to choose from, the best option for you is surely on this list. We recommend you try them all out, and find the one that suits your regular browsing behavior. While it’s likely Chromium or Vivaldi will suit you perfectly, spare a moment for Midori and GNOME Web in particular. Explore more about: Chromium, Raspberry Pi. Ad blockers have a reason: ads are ANNOYING! I am looking for a browser to watch amazon prime which is not possible with Chromium.